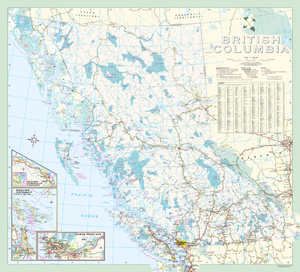 British Columbia Wall Map 36" x 40" OR 41" x 46"
This edition of the British Columbia Wall Map is now available. 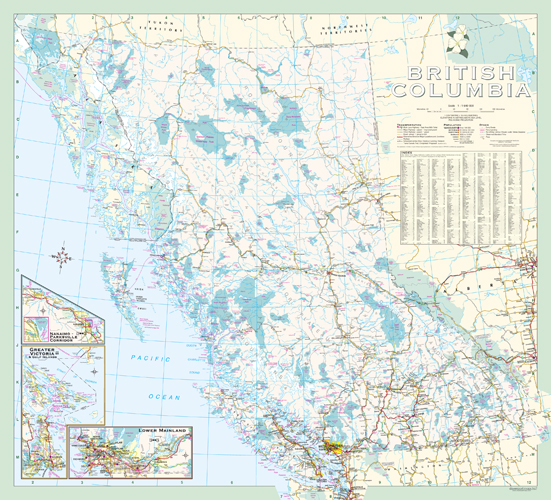 Shows all current roads, highways and parks in BC. A city index allows for easy referencing of any BC community. This comprehensive map is printed on a heavy matte stock with easy to read text.